A grand plan was drawn up by Sir James Knowles in 1871 for farming land to the west of Adelaide Crescent. The roads were laid out to his designs and named in the American style; First, Second, Grand, Third and Fourth Avenues (from east to west). Of the many buildings in his original drawings, just one has survived to this day. The Stanfords were a rich farming family who bought nearly 1000 acres of land, including Preston Manor, from their landlords, the Western family (as in Western Road), in 1794 for £17,600. An Act of Parliament, known as the Stanford Estate Act, allowed Ellen Stanford to break the conditions of her father’s will and sell off more land for building. Knowles, who was also responsible for the Grosvenor Hotel in London, proposed a great estate built in a distinctive yellow brick. First, Second and Grand Avenues were built in a similar style to what he had planned, but Third and Fourth Avenues ended up a real mix of colours and styles. Two enormous mansion blocks were built on the seafront ends of the avenues just like he had originally planned. The one built between First and Second Avenues was bombed in the Second World War and Kingsway Court now stands in its place. However, King’s House, between Grand and Second Avenues on Queen’s Gardens, did survive and is looking as great as ever. King’s House was constructed as seven large terraced mansion blocks in 1872 in the Italianate style and later became the Prince’s Hotel, owned by a Mr Prince. There was central heating in every bedroom and it was known to be one of the best hotels around. Giant tanks underneath the nearby lawns provided seawater for the baths. It was commandeered by the Royal Navy in 1942 and became H.M.S. Lizard until Seeboard made the building its headquarters in 1947. It became Grade II Listed in 1974 and was then sympathetically extended to the north in 1981 to the designs of architect Fitzroy Robinson Miller Bourne. 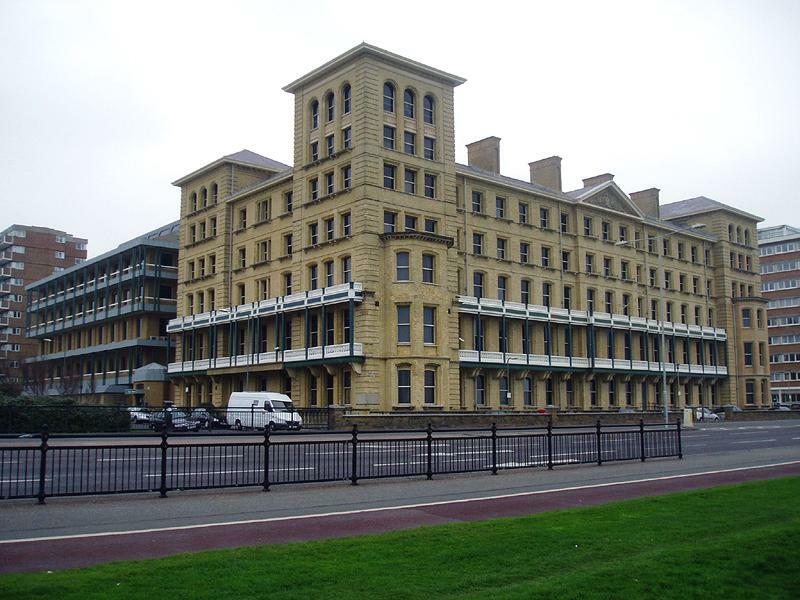 Brighton & Hove City Council took up residence in 1996 and named the building King’s House. The building is now meticulously maintained which is an excellent illustration of how a responsible council should act in setting an example. So, why was a building, built on Queen’s Gardens and used by a Mr Prince, named King’s House? That, I’m afraid, remains a mystery.